1. Section 529 Plans, available from all 50 states and the District of Columbia, encourage families to set aside savings for future education expenses. Most states set contribution limits at $300,000 or more. Generally, the investment grows without current taxes and distributions to pay for most college expenses — including tuition, fees, books, supplies, equipment, and room and board for full-time students — are completely tax-free. You can choose a 529 plan from any state, and although college-savers often choose to save in the plan of their home state, you might be better off establishing a plan elsewhere. Still, more than half of the states offer state tax deductions or credits for Section 529 plan contributions by residents. That could be a compelling reason to stay home when choosing a plan. 2. The American Opportunity Tax Credit (AOTC) became a permanent tax break when the PATH Act became law in December 2015. The maximum annual credit is $2,500. You can get separate credits for each qualified student in your family. For example, if you have three kids in school this year, your maximum credit is $7,500. Also, under another recent tax law change, you now can claim the AOTC for up to four years of school for each child, up from two years previously. However, the AOTC phases out between $80,000 and $90,000 of modified adjusted gross income (MAGI) for single filers and $160,000 to $180,000 for joint filers. Once you exceed the upper limit, you can't claim the AOTC. 3. The Lifetime Learning Credit (LLC) also is a permanent part of the tax code, but the maximum credit of $2,000 applies per taxpayer rather than per student. So even if you have three kids in school at the same time, the maximum credit is still $2,000. And eligibility for the LLC also phases out, at levels lower than the AOTC. The range in 2016 is between $55,000 and $65,000 of MAGI for single filers and from $111,000 to $131,000 for joint filers. 4. Tuition deductions also permit some parents to claim deductions for tuition and related fees paid to colleges and universities. This tax provision, extended through 2016 by the PATH Act, provides a deduction of either $4,000 or $2,000, depending on MAGI. For single filers, the $4,000 deduction is available for a MAGI up to $65,000 and $2,000 between $65,000 and $80,000. Joint filers can deduct $4,000 for a MAGI up to $130,000 and $2,000 if a MAGI is between $130,000 and $160,000. Above those limits you don't get a deduction. Taxpayers may claim either higher education credit—the AOTC or the LLC—or the tuition deduction, but not more than one of these three tax breaks. 5. Student loan interest deductions allow you to deduct the annual interest you pay on a student loan, up to a maximum of $2,500. This deduction applies only to the taxpayer who's actually repaying the loan. And the deduction for student loan interest is phased out based between $65,800 and $80,000 of MAGI for single filers and between $130,000 and $160,000 of MAGI for joint filers. 6. 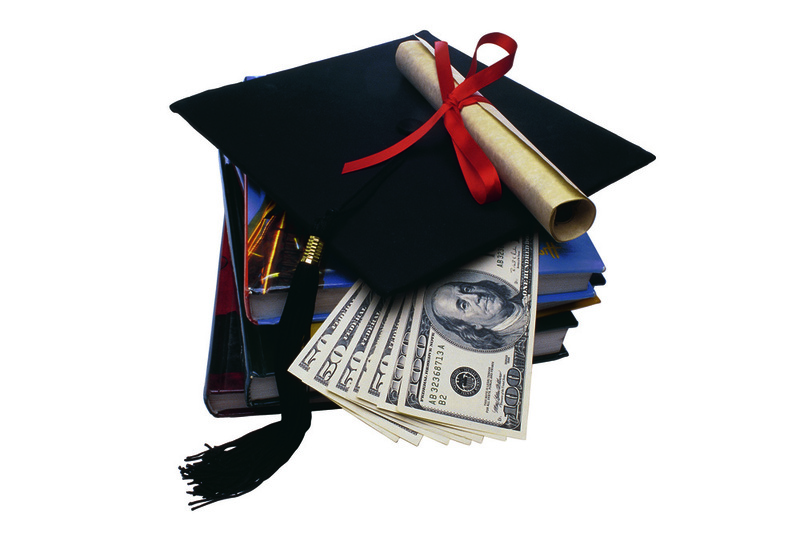 Coverdell Education Savings Accounts (CESAs) allow annual contributions of up to $2,000. This is on the low side, especially when compared to Section 529 plans that let you make six-figure contributions. And the ability to put money into a CESA in the first place is phased out between $95,000 and $115,000 of MAGI for single filers and between $190,000 and $220,000 of MAGI for joint filers. But if you qualify, these accounts, too, shield you from current taxes on earnings and you can withdraw money tax-free to pay for tuition and fees, room and board, uniforms, transportation, books and supplies, academic tutoring, and computers. One bonus with a CESA: those who qualify to contribute to the accounts can use the money to cover costs from kindergarten through 12th grade as well as for college. These tax breaks may offer parents help in saving for the high cost of higher education. We can help you sort through your options and navigate the arcane rules to find the best path in your situation.